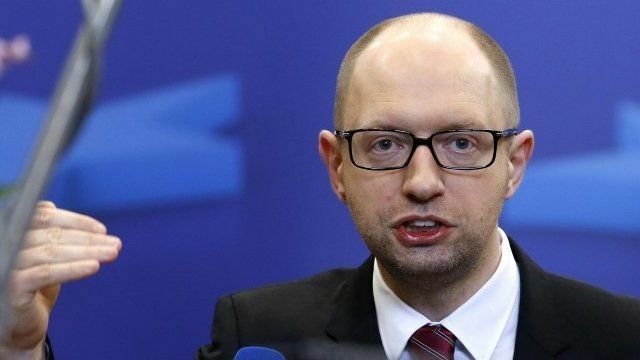 'Ukraine shares European values' Jump to media player Ukraine's acting Prime Minister, Arseniy Yatsenyuk, has been speaking after the European Union has signed an agreement with Ukraine forging closer economic and political ties. 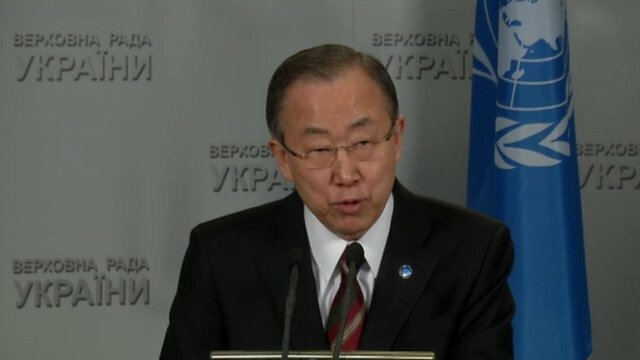 UN secretary general on Ukraine crisis Jump to media player Live coverage after the UN secretary general met Ukraine's interim government to discuss the ongoing crisis there. 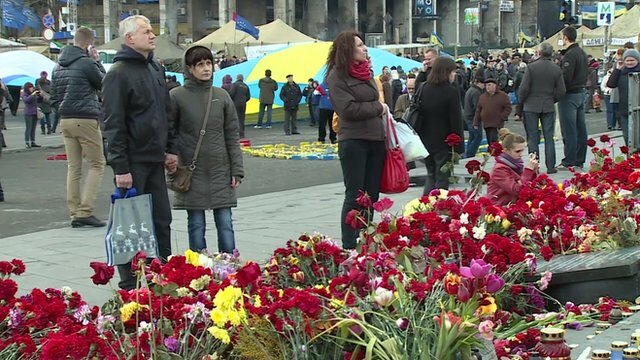 Independence Square: One month on Jump to media player As Russia consolidates its control over Crimea, and sanctions intensify, BBC News takes a look at the events that took place in Kiev exactly one month ago. Ukraine formalises ties with EU Jump to media player EU leaders have signed an agreement on closer relations with Ukraine, in a show of support following Russia's annexation of Crimea. 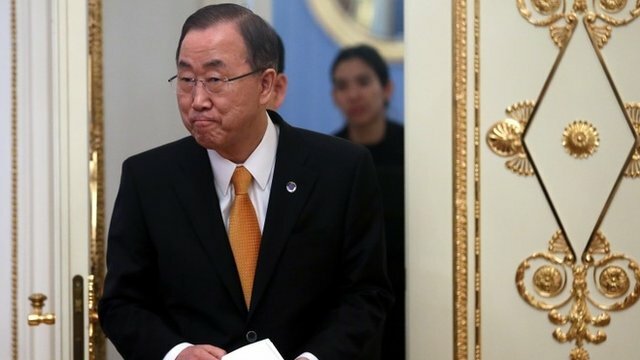 'Serious concern at Ukraine situation' Jump to media player The UN secretary general says he is seriously concerned at the tense situation in Ukraine. 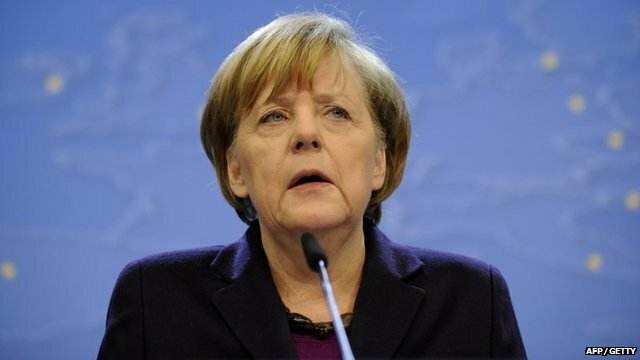 Merkel warns Russia with sanctions Jump to media player Germany has backed EU sanctions on another 12 individuals over Russia's annexation of Crimea from Ukraine. 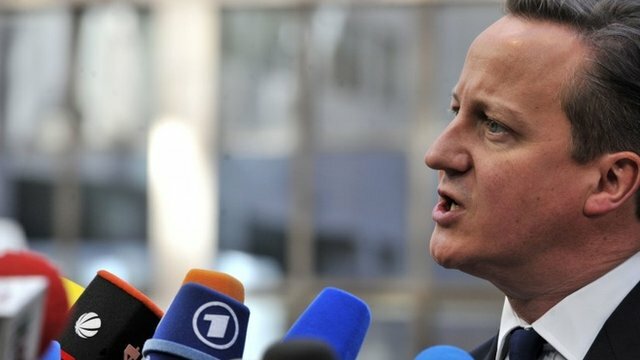 Cameron: 'Real progress over Crimea' Jump to media player The UK has backed EU sanctions on another 12 individuals over Russia's annexation of Crimea from Ukraine. 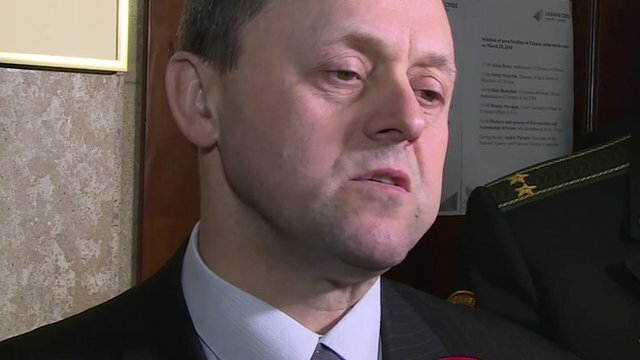 Minister refuses to accept Crimea 'loss' Jump to media player Deputy Defence Minister Leonid Polyakov says that Crimea has not been lost to Ukraine, and insists it is just a matter of time until it comes back under Ukrainian jurisdiction. The European Union has signed an agreement with Ukraine forging closer economic and political ties, as the crisis with Russia continues. 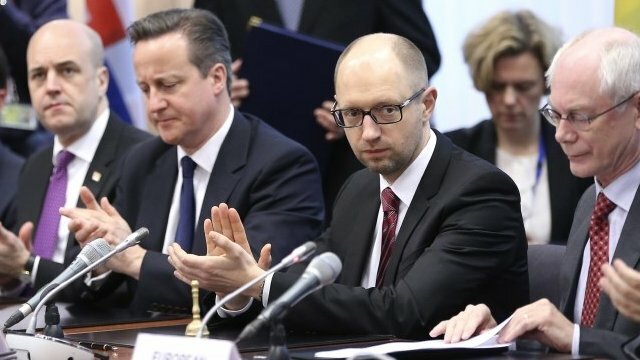 Ukraine's acting prime minister, Arseniy Yatsenyuk, celebrated the move but admitted future progress would be a "bumpy road".